This morning, Apple and Foxconn pledged to reduce working hours, eliminate labor violations and illegal overtime, boost safety and improve housing for the 1.2 million workers in China who make iPads and iPhones. The announcement comes hours after Apple CEO Tim Cook met with Chinese government officials to discuss trademark issues and labor rights. Cook’s visit coincided with the Fair Labor Association’s audit of working conditions in Foxconn’s factories. 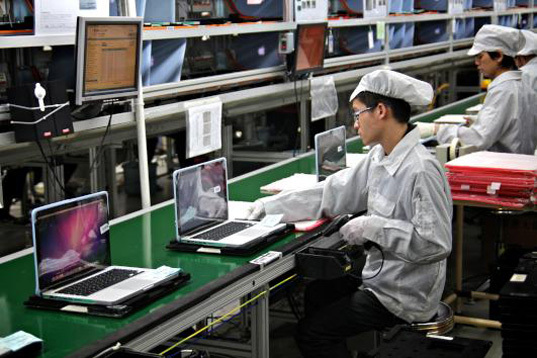 Yesterday’s publication of the first independent audit of working conditions revealed at least 50 serious violations of both Chinese labor law and Apple’s Code of Conduct. The survey of 35,000 workers found that they generally exceeded Apple’s maximum of 60 work hours per week and that many worked over China’s legal overtime limit of 36 hours monthly. Health and safety violations were also documented, but in contrast to Apple’s own internal audit, no underage workers were mentioned in FLA’s report. Foxconn also agreed to reduce its work week to 49 hours while maintaining worker wages at current levels. The effective increase in hourly wages is a huge step for Foxconn, which also assembles products for Hewlett-Packard, Amazon and Microsoft. The new rules over wages and hours that Foxconn and Apple implemented could also influence other multinationals to increase pay for Chinese workers. Companies from Toyota to Toshiba have already increased wages or will do so in the near future. Apple and Foxconn still face criticism, however. 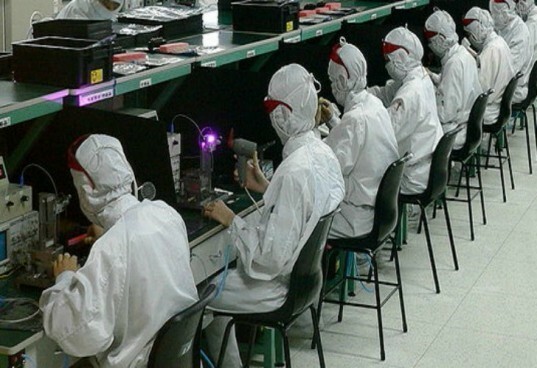 China Labor Watch counters that unless Apple shares more of its profits with its suppliers, workers will still receive low wages for long hours. Some workers interviewed by Reuters also complained that the loss of overtime could cut their monthly income by almost half. According to FLA, the new changes are effective in July 2013, giving Foxconn enough time to hire what is expected to be tens of thousands of new workers.